Ok, you are looking for a great massage?! You may also combine all of them or design your own for same price. Call 212-580-1888 to book now! If I can come here once every week, I would. I found this place on Yelp in December and have been addicted ever since. My review is long overdue. It's time that I give them the credit that they deserve. I try to come at least once a month, if my schedule permits. Coming here is always a treat! She's super strong and always manages to find a way to get rid of all my knots and tension. 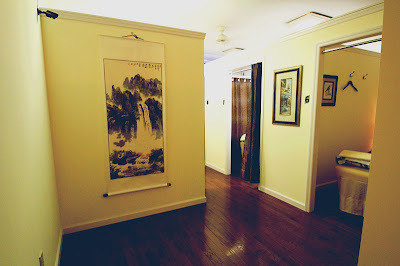 The place is spacious, and very clean. You can hear other clients but I don't mind it at all. I'm way too relax to have a bitchfit. This place rocks especially since its affordable and close to work. My massage therapist was Sarah and she was mad strong for her size, which was good because I was worried I wouldn't feel a thing. 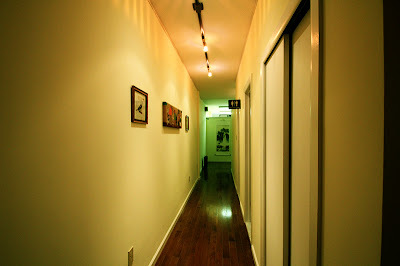 The place is clean and neat, unlike the outside which makes it look like a hole in the wall joint. The rooms are tiny and you can definitely hear everything that's going on, but it didn't ruin my experience. I did the 70 minutes for $50 deal and it was definitely worth it. I started off with a full body rub, then hot stones, and ended with a foot rub. My back was full of crazy knots and I liked that Sarah knew where all of them were, and worked on them instead of just glancing over everything like other massages I've had. After my massage was done, I paid up front where I was given a lil card with the massage therapist's name and a lil cup of water to drink. That night I slept like a baby, but was sore the next day, which is supposed to happen. The pain went away after a day or two and I felt awesome. They have a killer check-in deal on Yelp right now that is almost too good to be true. 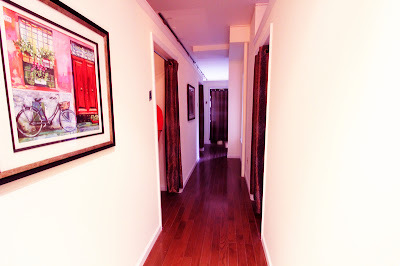 $50 for a 75 minute full body deep tissue massage... in the middle of Chelsea. Believe it. Thank me later. I've been a long time fan of the Greenwich location and at first was wary about going anywhere else since I couldn't be sure if they were actually related. My worries were allayed when I saw the same logo out front, then at the reception area all my doubts vanished when we were greeted by the very same manager/owner. This location is two or three times the size of the Greenwich location. All the good qualities that made me love the other location have been carried over here. Clean rooms, romantic lighting--great for couples, calm, soothing music (maybe they could switch to digital clocks though so you don't hear the incessant tick-tock), and above all, people who know what they're doing. The masseur I was assigned today was a bit more gentle than I'm used to, but knew exactly where and when to kick up the pressure and left me feeling like jello. 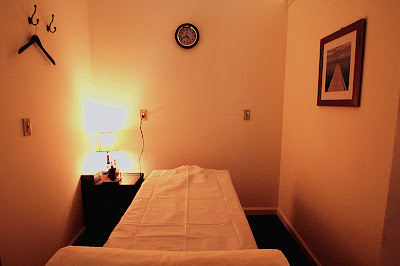 My new faorite place to go to relieve all that tension in my back and shoulders.